Welcome to the New Year! We trust that everyone enjoyed a well-deserved break and is feeling recharged and ready for the year ahead. As we launch into 2019 it’s an opportune time to consider and plan for what the year will bring. Following on from an interesting and very engaging 2018, BDR’s industry experts have comprised a list of some growing trends and likely issues for 2019. 2018 saw a cooling of Australia’s housing construction market which is likely to continue in 2019. 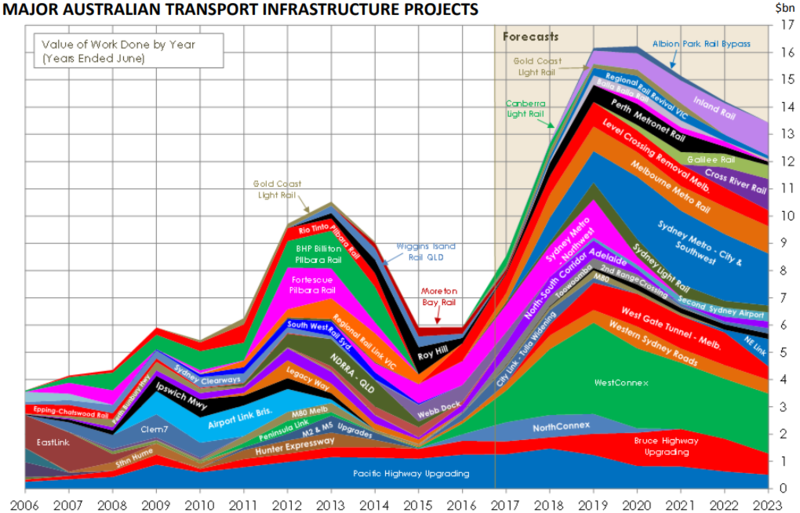 On the flipside, transport infrastructure construction is looking strong with annual spend on roads and rail expected to double by 2020. This pipeline is underpinned by strong population growth, private sector investment and a commitment by the Australian Government of $75 billion over the next ten years to improve road, freight rail and urban transit networks. On December 17 2018 the security of payment rules changed in Queensland when the new Building Industry Fairness (Security of Payment) Act 2017 (Qld) came into effect. It applies to many Queensland construction contracts. Industry participants should review how their contracts are drafted and administered to ensure compliance with this new piece of legislation. In 2018 the resources industry recovery continued supporting national income and contributing to a faster than expected improvement in the federal government’s finances. This included increased spending in iron ore and coal. In Queensland, coal in particular contributed $43.3 billion to the economy in 2017/2018, with a record export level. However the general consensus among economists is that both global and Chinese growth will slow in 2019, dragging commodity prices and demand down. In late 2018 Adani announced that the Carmichael coal mine project would go ahead based on scaled back rail line and coal volumes, and funding to be 100% financed from within the Adani conglomerate. The project continues to divide opinions about coal and climate change and will likely be a key federal election topic. While Adani continues to receive much attention, around Australia, mining companies are more quietly making investments across a raft of exploration activities, installations and expansions. A global boom in tech metals – those rare earth and other minerals and metals that are essential to making high-technology componentry – is also being experienced in Australia. In addition, there are a number of opportunities in Australian mining for innovative solutions and ideas including lithium supply chain participation, re-use and recycling as well as the conversion of mine sites to alternative activities such as tourism and agriculture. This will be an interesting space to watch. 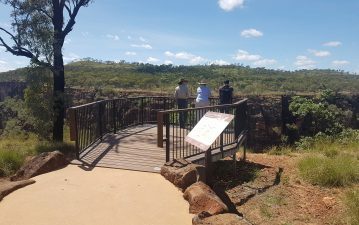 Outback tourism continues to be a strong focus for Queensland with 2019 being declared by Queensland Premier Annastacia Palaszczuk as the “Year of Outback Tourism”. This declaration comes on the back of the $10 million Queensland Outback Tourism Infrastructure (OTI) Fund for which 15 projects were recently announced as recipients. 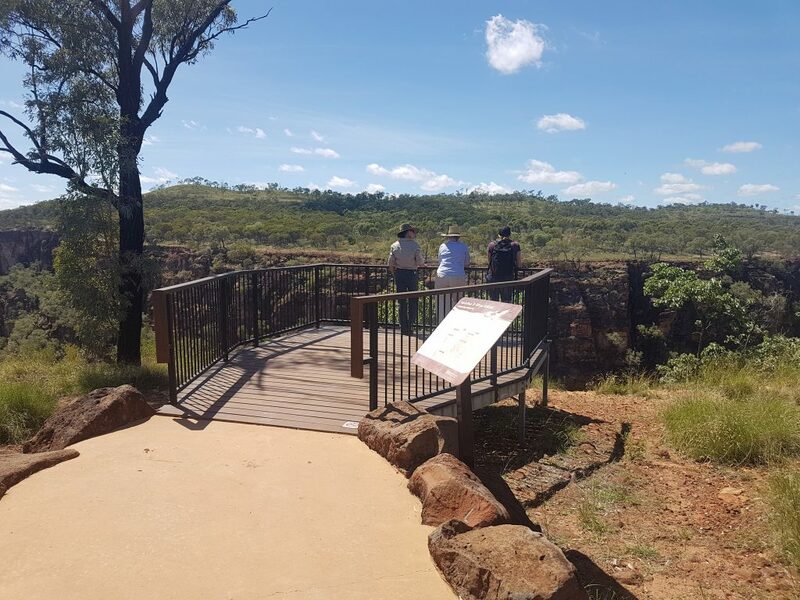 Projects such as luxury glamping and ecolodges, adventure base-camp facilities, five-star artesian baths, a glass-floored bridge across Cobbold Gorge, a new visitor information centre at Roma and a new home for Australia’s biggest fossil: Cooper the dinosaur are now funded to lure more visitors to the Outback. The Building Better Regions Fund from the Australian Government also provides funding for infrastructure and community-based initiatives in the regions, with a focus on supporting tourism and the visitor economy. Funding will see new infrastructure put in place to provide new and unique experiences for tourists. Combined with new and improved accommodation options and government spending on sealing roads to improve accessibility, this should see visitors attracted to the promise of adventure in the rural, remote and natural places of the outback. Last year in Queensland’s outback, domestic visitor number growth rates out-performed those in Brisbane, Sunshine Coast and the Gold Coast in the period June 2017 – June 2018. International tourist expenditure rose by more than 11% in the three years to 2018 and predictions are that it will continue to grow. 43c of every tourism dollar is now spent in regional Australia. This is an exciting time for visionaries and entrepreneurs who can see opportunities in this complex and dispersed economic activity. More visitors will contribute to sustainable communities by helping to create jobs, inspire entrepreneurial ventures and new businesses, and provide opportunities for existing businesses to diversify from farming and other rural activities. 2019 has commenced with water management dominating headlines. Recently more than a million fish died on the Darling River at Menindee, believed to be one of the largest fish kills ever recorded in Australia. There (not surprisingly) is growing concern within industry and the public over how the Murray-Darling Basin is managed. A number of factors are reported as contributing to this event. The water levels were very low, the system had stopped flowing and temperatures were high, creating ideal conditions for an algal bloom to occur. Reportedly however it wasn’t the algae which killed the fish – a cold front hit the region, dropping water temperature and subsequently killing the algae. The bacteria which fed on the algae then exploded out of control, draining oxygen from the water, which ultimately caused oxygen levels to drop too low and the fish to drown. The blame game has begun to play out in the media, but it is reported to likely be a combination of drought, climate change and other factors that contributed to the river being in such a state that a blue-green algae outbreak on this scale could occur. In the interim at least, the NSW government will install aerators to increase oxygen levels and keep fish stocks alive; however there will likely be increasing pressure on governments to come up with an acceptable long term solution, including bi-partisan support for a revised Murray-Darling Basin Plan. It is expected that a current South Australian royal commission into the Murray-Darling Basin Plan will be completed by February. We expect agriculture to continue to be a key driver of Australia’s economy in 2019. The recent landmark US court ruling regarding glyphosate, Australia’s most widely used farm chemical, will also likely have strong implications for the industry and this topic should be monitored closely. In terms of consumer trends, there is growing concern about the environmental impacts of the meat and dairy industries in particular. Further, there is a continued movement towards ethically produced food, which includes both environmental and animal welfare considerations. Australia’s live export industry is facing mounting pressure. Depending on the outcome of the upcoming federal election, live sheep exports may be banned completely. One emerging area is that of “clean” or synthetic meats. The industry appears to be growing at a rapid rate, particularly in the US. Bill Gates and Richard Branson have both invested in lab-grown meat companies, having acknowledged publicly that meat production has a significant impact on the environment and that we need more options for producing meat to feed the world’s growing population. This will be an interesting space to watch in terms of up-take, and there are expected issues surrounding labelling that will need to be dealt with. Other industry innovations include the development of livestock feed supplements to combat methane emissions and maximise feed utilisation efficiency. The CSIRO, together with Meat and Livestock Australia and James Cook University, are currently looking at leading edge applications of seaweed-based livestock supplement through their FutureFeed solution. While the bear market through 2018 for cryptocurrency seemed to dominate headlines, the growing application of Blockchain technology, the underpinning technology behind cryptocurrencies, steadily made gains through it’s take up into various industries. In short, Blockchain can be used to substantially increase efficiencies through the ability to connect peer to peer stakeholders, provide immutable records, facilitate and verify transfers of value, and provide transparency. 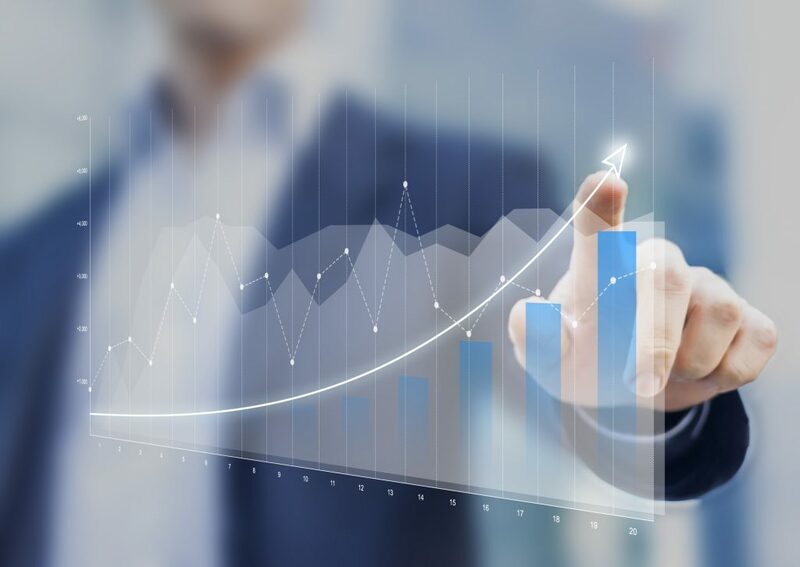 While players within the finance and credit industry appear to be the first to fully embrace Blockchain technology, several other industries stand to gain significantly in the medium term. BDR now has a whole new division working on Blockchain projects in agriculture, water and construction. Melbourne Water is successfully using VR technology to enhance its identification of design defects and OHS risks during the planning phase of capital projects as well as train technicians in the use of highly toxic chemicals without the inherent safety risks. Automation is being taken up in the mining industry. This includes driverless vehicles and systems. Rio Tinto is progressing with a world first “intelligent mine” in Koodaideri, which will incorporate leading edge technology such as robotics, driverless trucks, drills and trains as well as systems connecting all components of the dynamic schedule, from orebody planning right through to consumption. It will deliver its first tonnes of ore in 2021, provided it meets all regulatory approvals. Wearable technology appears to also be increasingly adopted in the construction industry. This technology has the potential to make sites considerably safer through that use of wearables that can track where workers are on the job site, provide alerts in real time of potential hazards, and identify when someone has had an accident or incident so that help can be sent straight away. It is looking like 2019 will be a big year! We wish everyone much success, and look forward to having the opportunity to work together.